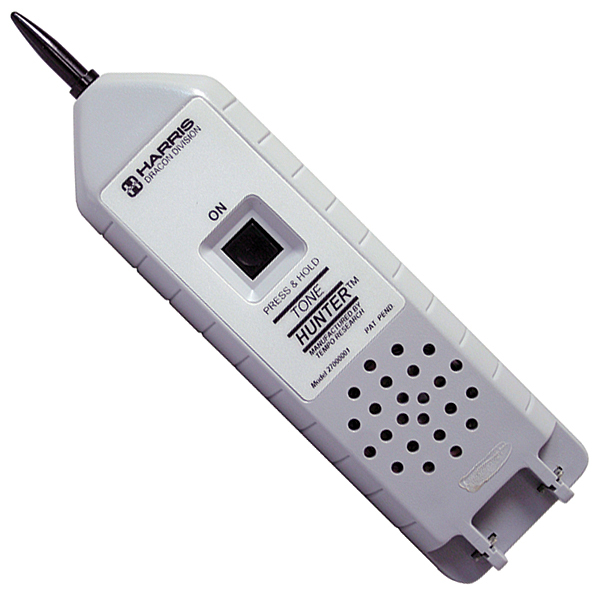 Harris Tone Hunter Tone Probe detects audio signals on wires up to 12" away. Use an audio signal generator or build a portable audio warbler with output up to 10v peak - peak to feed signal into one end of cable pair to be checked. Wave probe over broken out wires and the one with tone can be clearly identified. We install a brand new fresh 9v battery before shipping. Try it once and your tool box will never be without one again. Priced at a fraction of original cost.